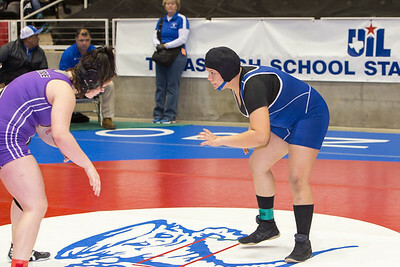 Leslie Alaniz of Mission Veterans pinned Sarah Drake of New Waverly in the 148 pound class during the final day of the Texas UIL State Wrestling Tournament in Garland on Saturday, February 21st, 2015. PAUL BRICK FOR PROGRESS TIMES. 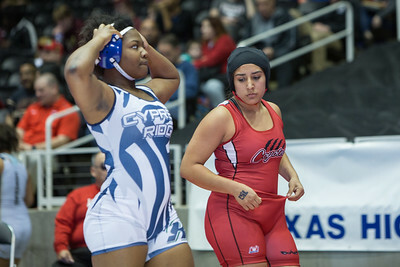 Klarissa Blanco of Mission Veterans pinned Marissa DeMattia of Frisco Wakeland in the 185 pound class during the final day of the Texas UIL State Wrestling Tournament in Garland on Saturday, February 21st, 2015. PAUL BRICK FOR PROGRESS TIMES. 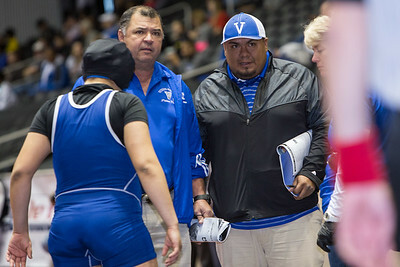 Mission Veterans Head Coach Ben Yzaguirre and Assistant Coach Jesse Rodriguez check on Klarissa Blanco as she battled in the 185 pound class during the final day of the Texas UIL State Wrestling Tournament in Garland on Saturday, February 21st, 2015. PAUL BRICK FOR PROGRESS TIMES. 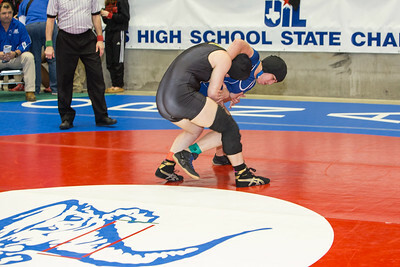 Leslie Alaniz of Mission Veterans was defeated by McKenzie Schlid of Waller in the 148 pound class during the final day of the Texas UIL State Wrestling Tournament in Garland on Saturday, February 21st, 2015. PAUL BRICK FOR PROGRESS TIMES. 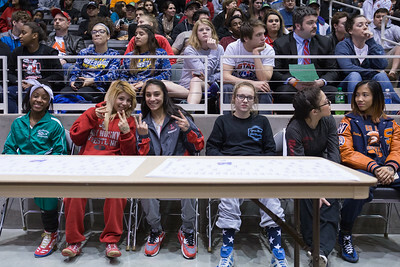 Mission Veterans Assistant Coach Jesse Rodriguez, Head Coach Ben Yzaguirre and Athletic Trainer Kim C. Reynolds get ready with Klarissa Blanco during the final day of the Texas UIL State Wrestling Tournament in Garland on Saturday, February 21st, 2015. PAUL BRICK FOR PROGRESS TIMES. 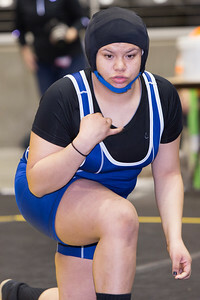 Klarissa Blanco of Mission Veterans fought a very tough battle with Haylee McCrary of Humble but was defeated 10-9 during the final day of the Texas UIL State Wrestling Tournament in Garland on Saturday, February 21st, 2015. PAUL BRICK FOR PROGRESS TIMES. 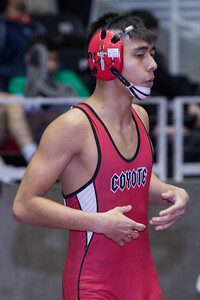 James Muzquiz of La Joya fought a tough battle with Kenny McAleavey in the 120 pound class but was defeated during the final day of the Texas UIL State Wrestling Tournament in Garland on Saturday, February 21st, 2015. PAUL BRICK FOR PROGRESS TIMES. 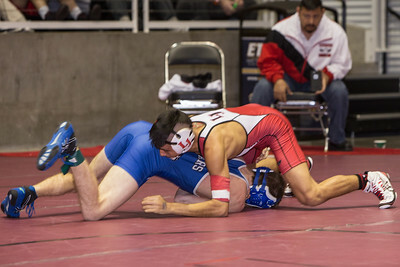 La Joya Wrestling Head Coach Muzquiz coaches his son James during the final day of the Texas UIL State Wrestling Tournament in Garland on Saturday, February 21st, 2015. PAUL BRICK FOR PROGRESS TIMES. 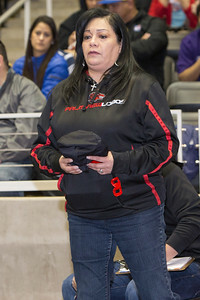 Palmview Girls Wrestling Head Coach Isabel Hernandez supports Alyssa Salinas during the final day of the Texas UIL State Wrestling Tournament in Garland on Saturday, February 21st, 2015. PAUL BRICK FOR PROGRESS TIMES. 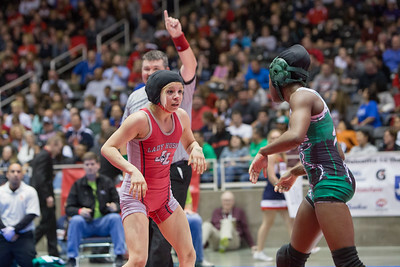 Alyssa Salinas was defeated by Claudia Villareal of Langham Creek in the 119 pound class during the final day of the Texas UIL State Wrestling Tournament in Garland on Saturday, February 21st, 2015. PAUL BRICK FOR PROGRESS TIMES. 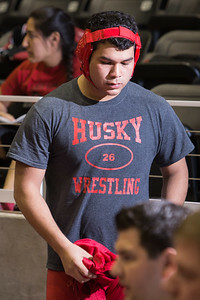 Edgar "Nacho" Delgado of Juarez Lincoln prepares for his 220 pound class bout during the final day of the Texas UIL State Wrestling Tournament in Garland on Saturday, February 21st, 2015. PAUL BRICK FOR PROGRESS TIMES. 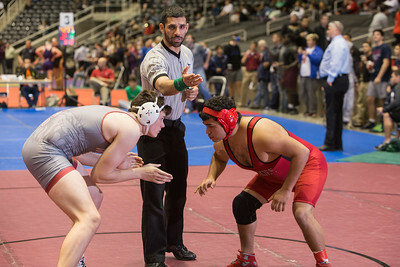 Edgar "Nacho" Delgado of Juarez Lincoln was defeated by Harlan French of Plano in the 220 pound class during the final day of the Texas UIL State Wrestling Tournament in Garland on Saturday, February 21st, 2015. PAUL BRICK FOR PROGRESS TIMES. 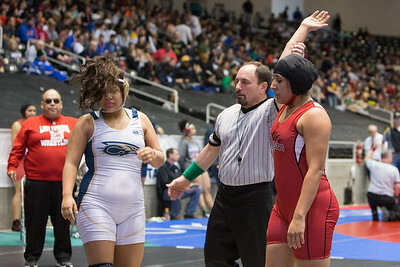 Daisy Ramirez of Juarez Lincoln pinned Brandi Dominguez of Cypress Creek in the 165 pound class, winning 5th place during the final day of the Texas UIL State Wrestling Tournament in Garland on Saturday, February 21st, 2015. PAUL BRICK FOR PROGRESS TIMES. 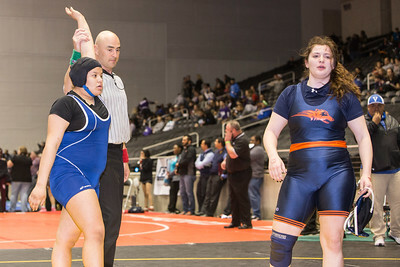 Leslie Oliva of Juarez Lincoln won the silver medal in the 95 pound class during the Texas UIL State Wrestling Tournament in Garland on Saturday, February 21st, 2015. PAUL BRICK FOR PROGRESS TIMES. 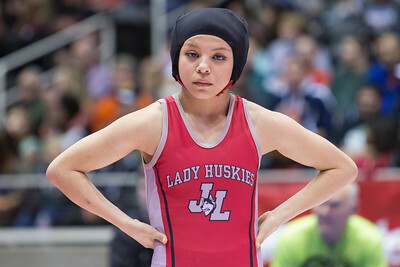 Lesllie Oliva of Juarez Lincoln battled Asia Ray of Arlington Martin but was defeated 6-3 and won the silver medal in the Championship round during the Texas UIL State Wrestling Tournament in Garland on Saturday, February 21st, 2015. PAUL BRICK FOR PROGRESS TIMES. 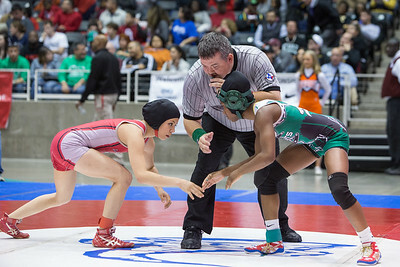 The 95 pound 6A medal winners realx during the final day of the Texas UIL State Wrestling Tournament in Garland on Saturday, February 21st, 2015. PAUL BRICK FOR PROGRESS TIMES.